It’s a boy! Expectant mothers are enjoying one of the most exciting times of their lives and celebrations abound in the form of baby showers. 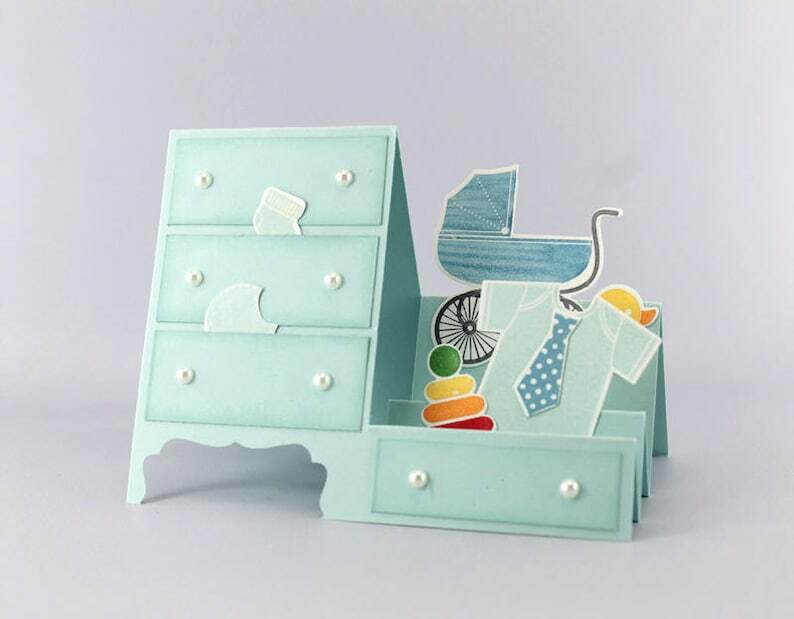 This exquisitely hand stamped card features a selection of iconic baby boy forms including a blue dresser, matching baby bugger, toys and a green shirt. 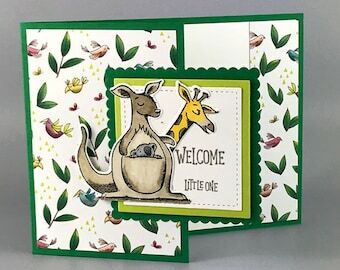 This something for baby stamp set includes soft sky, marina mist, and whisper white card stock to create a truly striking card. 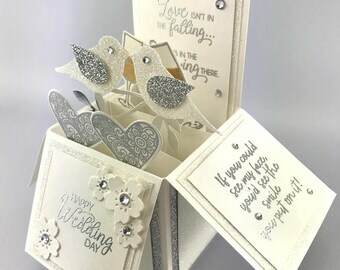 While it is mailed flat, it transforms into a three dimensional display for the recipient so it can be enjoyed beyond the moment. 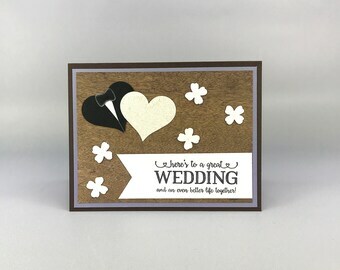 The purchase of this listing includes one blank card as pictured above along with a matching white envelope lined with coordinating designer paper. 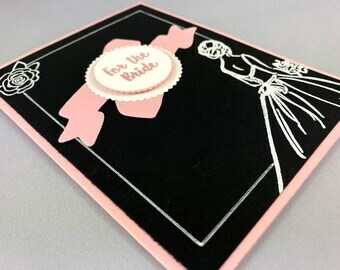 Each of these new baby cards will come individually wrapped in a clear cello envelope and sealed in a bubble mailer to ensure protection during shipping.